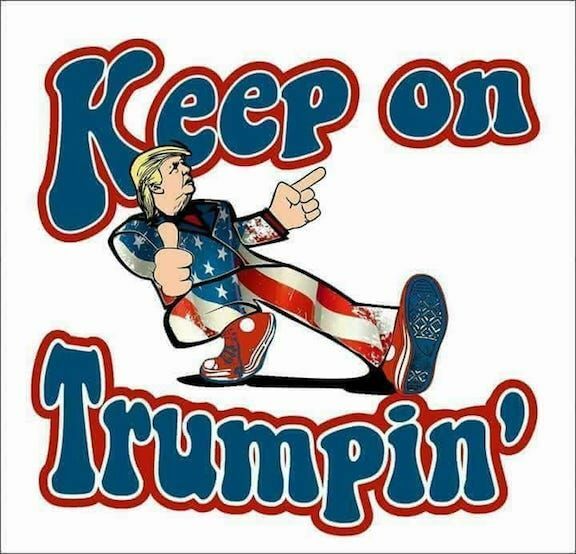 Trump rallies grow in support - Real Americans are supporting Trump in droves. Only a totally brainwashed idiot does not support Trump. Are you an idiot or a Real American? Clapper throws Obama under bus for his deep state bosses. See how puppets are easily thrown away after they grunt for the globalists? This is why no real man would ever allow themselves to be a grunt for corrupt deep state globalists! Only weakminded ninnys are grunts. Real men stand up to evil, they dont go along. Thank you President Trump for being a real man! Wow, great interview on Watchdog USA. We need to thwart their short-term plans by voting Republican and we need to thwart their plans long term by demanding Republicans move against Big Tech. If you don?t want to live in a dystopian hellhole of open borders and internet censorship, you need to get out and vote for Republicans today in Michigan, Ohio and Kansas. John James is a potential Republican Star who has a Senate primary election tomorrow in Michigan. If he becomes the Republican candidate, he will beat the Open Borders, weak on Crime, Democrat, Debbie Stabenow. Vote for John James and Make America Great Again! THE MSM IS A HUGE FAIL! THE PUBLIC IS AWAKE! President Trump asked late Friday if Sen. Dianne Feinstein, D-Calif., will be investigating herself after details surfaced that Chinese intelligence officials had once recruited a staff member at her local office to report back to them on local politics. ?Dianne is the person leading our Nation on ?Collusion? with Russia (only done by Dems). Will she now investigate herself?? Trump tweeted. The details about the Feinstein staffer were first revealed in a Politico report last week about the West Coast becoming a growing target for foreign intelligence agencies. The San Francisco Chronicle followed up, reporting that the FBI alerted the senator five years ago that her driver was being investigated for possible spying on behalf of the Chinese. Building bridges to the People?s Republic of China, however, seems to have been an even higher priority for Feinstein. One of Feinstein?s first acts on becoming mayor of San Francisco in January 1979, was to visit Shanghai to establish sister-city relations. The next apparent priority was re-establishing passenger airline service between China and the United States. Service was restored on Jan. 8, 1981, after a ?32-year hiatus when a Boeing 747 with 139 Chinese passengers arrived exactly on time at San Francisco International Airport,? according to The New York Times. Feinstein went on to visit Shanghai several times in her official capacity and built a close personal relationship with then-Mayor Jiang Zemin. According to the San Jose Mercury: ?He [Jiang] once invited her and her husband to see Mao Tse-tung?s bedroom in his old residence, the first foreigners to do so. Feinstein had entertained Jiang in San Francisco, dancing with him as he sang ?When We Were Young.'? This relationship proved fruitful in 1999, when President Bill Clinton was pushing to bring China into the World Trade Organization. einstein said she expected approval of the new trade status, which would remove the ?annual congressional review that many believe continues to put pressure on China to reform its economy and human-rights record.? In other words, the Chinese Communist Party (CCP) would get the trade status it coveted, without having to do anything of significance to improve its abysmal human-rights record. China was admitted to the World Trade Organization and has used that trade access to build the world?s second-strongest economy, and a world-class military. If anything, the CCP?s human-rights record is worse today. Certainly, their repressive technologies are far more powerful. Feinstein has done more for the CCP than other any serving U.S. politician. In the wayback machine : Lets see were the CIA searching for Chinese spying via Feinstein ? No that could not be ..
... the Senate Intelligence Committee accused the agency of breaking laws and breaching constitutional principles in an alleged effort to undermine the panel?s multi-year investigation of a controversial interrogation program. Chairman Dianne Feinstein (D-Calif.) accused the CIA of ?secretly removing documents, searching computers used by the committee and attempting to intimidate congressional investigators by requesting an FBI inquiry of their conduct ? charges that CIA Director John Brennan disputed within hours of her appearance on the Senate floor. ASSANGE TO COME TO US AND TESTIFY? DAMN! The letter allegedly sent by the U.S.
As you are aware, the Senate Select Committee on Intelligence is conducting a bipartisan inquiry into Russian interference in the 2016 U.S. elections. As part of that inquiry, the Committee requests that you make yourself available for a closed interview with bipartisan Committee staff at a mutually agreeable time and location. Please respond in writing upon receipt of this letter. If you have any questions about this letter, please contact Committee counsel at 202-224-1700. The tweet from WikiLeaks references an article by Human Rights Watch from June titled -UK Should Reject Extraditing Julian Assange to US.- The article argues that Assange should not face extradition to the U.S. and that the U.K. government should remove the threat of complying with any extradition orders against Assange. The US grand jury investigation of Assange under the Espionage Act was apparently based on his publishing the leaks for which Chelsea Manning, a former US army soldier, was convicted. Her sentence was commuted. The publication of leaks?particularly leaks that show potential government wrongdoing or human rights abuse?is a critical function of a free press in a democratic society. The vague and sweeping provisions of the Espionage Act remain ready to be used against other publishers and journalists, whether they be Wikileaks or the New York Times. In 2016, the United Nations Working Group on Arbitrary Detention found Assange?s stay in the Ecuadorean embassy, enforced by the alternative of his potential extradition to the US, to be an arbitrary deprivation of liberty. Ecuador, offended by Assange s political comments, this year has denied him internet access and visitors, other than occasional contact with his lawyers. Ecuador denied Human Rights Watch permission to visit him this May. Concern is growing over his access to medical care. His asylum is growing more difficult to distinguish from detention. The UK has the power to resolve concerns over his isolation, health, and confinement by removing the threat of extradition for publishing newsworthy leaks. It should do so before another year passes. Over the past three years, an unexpected voice of caution has emerged from one of the most legendary families in finance: Lord Jacob Rothschild. Readers may recall that as part of the RIT Capital Partners 2014 annual report commentary, the scion of Rothschild family warned that "the geopolitical situation is most dangerous since WWII." August 2017 he cautioned that "share prices have in many cases risen to unprecedented levels at a time when economic growth is by no means assured." Lord Rothschild has made his latest warning to date, this time focusing on the global economic system that was established after WWII, and which he believes is now in jeopardy. "In 9/11 and in the 2008 financial crisis, the powers of the world worked together with a common approach. Co-operation today is proving much more difficult. This puts at risk the post-war economic and security order." It wasn't clear if he was referring to the post-war fiat standard that emerged once FDR devalued the dollar relative to gold, and then fixed a price for the yellow metal, a tenuous link that was subsequently destroyed by Nixon who finally took the US off the gold standard, or the primacy of the dollar which emerged as the world's reserve currency after the end of WWII, but whenever one of the people who profited handsomely from the "post war world order" warns it may be on its last legs, it may be time to worry. Finally, Rothschild remains understandably "concerned about geo-political problems including Brexit, North Korea and the Middle East, at a time when populism is spreading globally." Seize his ill gotten gains and pay of the world debt. Sounds like a good idea to me, pay the fed off and close them down, then seize their ill gotten debt. Pay off every debt of the every person in the world and start new, JUBILEE! China has been caught interferring in America. They best wise up and stop. they have to kill all the Exits Br- Fr- It- they have to create havoc ... Bohemian Grove has come, a time for sacrifice begins ... Who was sacrificed THIS YEAR? What will the GLOBAL Sacrifice BE? It may have been the quietest opening at the Bohemian Grove in nearly 40 years last week when members of the exclusive San Francisco Bohemian Club arrived in Monte Rio. Cardboard Trump welcomed people entering Bohemian Grove, and said take care to those exiting Bohemian Grove. July 14th, 2018. Overall, there was a positive response to a cardboard cut-out of the current President of the United States. Every year the Bohemian Club hosts a private two-week gathering in Monte Rio, California. We often hear about who has attended Bohemian Grove in the past, including Walt Disney, but who attends today? Bohemian Club members and guests may see two or three people at the gates of Bohemian Grove in mid-summer every year. Please do not assume these people are merely protesters. According to the head of one of France?s most prominent asylum seeker support organisations, the global network of human traffickers which aid migrants across borders into Europe and elsewhere constitute a $32 billion (?25bn) industry. for not acting to hold members of the Justice Department accountable. ?Our A.G. is scared stiff and Missing in Action,? Trump wrote on Twitter. -It is all starting to be revealed - not pretty. Trump cited reports about phony dossier investigator Christopher Steele meeting with Justice official Bruce Ohr, even after he was fired at the FBI. Conservative watchdog organization Judicial Watch filed a lawsuit against the Justice Department for communications between Ohr and Steele, as well as communications with Ohr?s wife. Fusion GPS hired Nellie Ohr to help investigate Trump for the dossier. The big story that the Fake News Media refuses to report is lowlife Christopher Steele s many meetings with Deputy A.G. Bruce Ohr and his beautiful wife, Nelly, Trump wrote. It was Fusion GPS that hired Steele to write the phony & discredited Dossier, paid for by Crooked Hillary & the DNC. Ohr was demoted from his position in December 2017. STILL WORKS FOR THE DEPARTMENT OF JUSTICE,- Trump marveled. Ohr is scheduled to testify in front of Congress in late August. The video was captured on August 16th during a planned visit to Sabrevois, Quebec, for a 'summer corn roast' as reported by the official Liberal party website. While speaking to supporters and media, Justin Trudeau was heckled by a woman asking the Prime Minister when or if he would refund the $146 million dollars Quebec is projected to pay to deal with the influx of illegal immigrants into the country. Although the federal government has promised to give $50 million dollars to Quebec, Ontario and Manitoba to help cope with the situation, Quebec Immigration Minister David Huertel said this is not enough. He believes the sum is $100 million short of the projected costs required to properly handle the border crossings. Minister Huertel's Ontario counterpart has also voiced her frustration with the Trudeau governments lack of funding, stressing that the $11-million Ottawa set aside to help Toronto deal with the added costs is a far cry from the $74-million tab the city will rack up this year in shelter costs for asylum seekers, and a drop in the bucket for the $200 million total. According to statistics by the Immigration Department, illegal border crossings rose by 23% in July this year after the government installed some permanent infrastructure to deal with the predicament. An Angus Reid poll released earlier this month reported that 67% of Canadians believe that 'This situation is a crisis- Canada's ability to handle the situation is at a limit', while 58% say that Canada is 'too generous' when dealing with irregular crossings. In response to her questions on illegal immigration Justin Trudeau retorted by repeating the phrase "Your intolerance for immigrants has no place here". It should be noted that the woman was talking about a specific case of illegal crossings and its effect on Quebec's economy, not on immigration policy in general. Undeterred by Trudeau or the crowd, the woman pushed on for answers. Finally, when she got near Trudeau he looked right at her and told her that her 'racism has no place here', despite the fact that the woman never mentions any specific racial group. As the event unfolds, an unidentified member of the crowd accuses the woman of making threats. Shortly after the woman is approached by a man wearing an earpiece and is escorted out of the crowd by several other men of a large stature. Finally, it ends on a chilling note when she is roughly handled by plain a clothed RCMP officer for making ?threats?, although clearly not one verbal threat was uttered during the entire affair. When asked by bystanders to identify themselves one officer flashes a badge and provides his badge number to the camera. The officers then continue to ask the woman for identification, and accuse her of acting 'hysterical'. 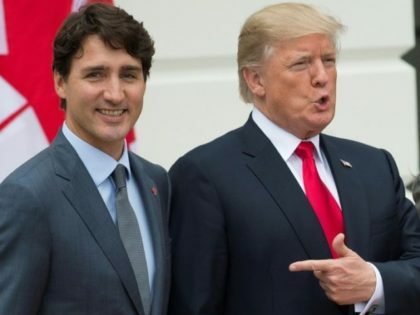 There is no political necessity to keep Canada in the new NAFTA deal. If we don't make a fair deal for the U.S. after decades of abuse, Canada will be out. President Trump has appointed Kiron Skinner, a well-known conservative African American scholar, as the State Department?s director of policy planning, and she is promising to check egos and carry out the president's 'America First' agenda. ?To counter 21st century threats and take advantage of unfolding opportunities, I will bring together a no-nonsense team of career diplomats, political appointees, scholars, and analysts who want to leave egos and outworn doctrines at the door,? she said in a statement to Breitbart News. Kiron Kanina Skinner (born 1961) is the Taube Professor of International Relations and Politics at Carnegie Mellon University, and is the founding director of these entities at the university: Carnegie Mellon University-Washington Semester Program, Center for International Relations and Politics, Institute for Politics and Strategy, and the Institute for Strategic Analysis. She is also the W. Glenn Campbell Research Fellow at Stanford University?s Hoover Institution. She has co-authored two books on Ronald Reagan: In His Own Hand (2001) and Reagan, a Life in Letters (2003), which were New York Times bestsellers. In 2005, Skinner was appointed by President George W. Bush to a term on the National Security Education Board. Bush, Rubio, and Clinton back. After all, the money?s good." The anonymous op-ed penned by a White House senior official and published by the New York Times is another gutless and pathetic attempt by the neanderthal Never Trump neocon wing of the open border Republicans to get their swamp back. President Trump has dared to threaten the unholy alliance between Wall Street Republicans, who want cheap labor to drive their benefactors? bonuses, and Democrats, who want cheap votes from illegal aliens who will eventually become their reliable constituents. Caught in the crosshairs are American workers and low wage-earners, who were kicked to the curb and sold out by both major political parties for power and money. They had no champion, until Donald J. Trump came along. The cowardly ?senior official? in the White House couldn?t use his or her name because it would potentially expose the greatest hoax in U.S. history. In the world of the unholy alliance open borders, open trade, and military-industrial complex-driven policies are supposed to be the same, regardless of who wins the White House or which party controls Congress. Just follow the money. Open borders for cheap labor at the expense of decent wages for American workers drives up profits for the elite ownership class and globalist corporations. Open trade that yields cheap goods dumped in the U.S. by exploiting countries ? at the expense of American manufacturing ? means higher stock prices for the Wall Street wolves and hedge fund traders. Trump is now asking questions in meetings that no one is supposed to ask. This apparently makes him ?unhinged? according to his detractors. He?s asking questions like: ?Why are we supporting the Saudi-UAE coalition in Yemen?? and ?How do we make money on each Amazon package delivered by the United States Postal Service?? and ?Can I see a pro-forma, please?? The ever-growing U.S. military-industrial complex keeps billions of American taxpayers? dollars flowing to the war-machine makers, their military suppliers, consultants, and ex-officials. See Yemen. They all donate a percentage of their profits back to the uni-party?s candidates so they can do their every-other-year kabuki dance. They fool the American people into thinking core policies would change based on who won. But nothing was ever meant to change. Until Trump showed up, U.S. federal elections were like pro-wrestling. Fun to watch, but the aforementioned unholy alliance stayed intact. Trump eviscerated the feckless do-nothing Republican Party and their bevy of 16 donor-groomed candidates on his way to the nomination.The Republican Party, which was going the way of the Whigs, is now the Party of Trump ? and not a moment too soon. The media?s objective was to get the Washington commentariat focused on how Trump, in their estimation, is unfit to be president, and to do so at the beginning of the traditional post-Labor Day home stretch of the campaign season. They have largely succeeded in this goal, but in so doing, failed again to learn the lesson that was so easy to conclude from the 2016 election and Trump?s steady popularity levels since then. That lesson is that the media and the commentariat no longer determine public opinion. A video recorded by Google shortly after the 2016 presidential election reveals an atmosphere of panic and dismay amongst the tech giant?s leadership, coupled with a determination to thwart both the Trump agenda and the broader populist movement emerging around the globe. The video is a full recording of Google?s first all-hands meeting following the 2016 election (these weekly meetings are known inside the company as ?TGIF? or ?Thank God It?s Friday? meetings). Sent to Breitbart News by an anonymous source, it features co-founders Larry Page and Sergey Brin, VPs Kent Walker and Eileen Naughton, CFO Ruth Porat, and CEO Sundar Pichai. It can be watched in full above. It can and should be watched in full above in order to get the full context of the meeting and the statements made. It was reported earlier this week that Google tried to boost turnout among the Latino population to help Hillary Clinton, only to be dismayed as the usually solid Democratic voting bloc switched to the GOP in record numbers. 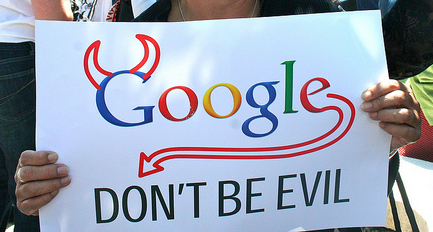 This video shows a similar level of dismay among Google?s most high-profile figures. She literally stated that they would continue to use the strength of their company to forward the leftist causes of the Democratic Party.... I mean, HOW is this not an in-kind donation or some kind.... I mean, we ALL already knew this - but to hear it out loud and proud like this is infuriating! Someone leaked to Breitbart an hour-long video of an ?all hands? Google meeting that was held just after the 2016 election. The video features Google?s co-founder, Sergei Brin, its CEO, Sundar Pichai, and numerous other high-ranking ?Googlers? speaking in turn about the election?s tragic outcome. It is stunning. 1) These people may have certain valuable technical skills, but they aren?t very bright and are unusually lacking in self-awareness. 2) It is remarkable that they can achieve such an extraordinary monoculture in an organization with thousands of employees. It must require vigorous enforcement of right-think. 3) It is easy to see how these uniformly left-wing robots/people seamlessly transitioned into Resisting the duly elected Trump administration. Rep. Jim Jordan (R-OH) said in an exclusive statement to Breitbart News on Thursday that Google?s ?bias is not surprising? in the wake of a video that details their determination to thwart Trump?s populist agenda. Breitbart News obtained an hour-long video featuring Google executives such as co-founders Larry Page and Sergey Brin, as well as CEO Sundar Pichai and many other executives disparaging Trump voters and plotting ways to use their vast resources to thwart Trump?s populist agenda. In the leaked video, Brin compared Trump supporters to fascists and extremists. He then asked his company what Google can do to ensure a ?better quality of governance and decision-making.? Congressman Jordan, who hopes to become the next Speaker of the House, told Breitbart News in an exclusive statement, ?Facebook discriminated against conservatives in its news feed. Then Twitter shadow banned conservatives. Now we see that Google attempted to influence the 2016 election in ?key states? with a ?silent donation,? so this bias is not surprising.? Jordan, as one of the premier conservatives in the House, has led the charge against social media censorship. Jordan told Breitbart News in an interview last week that Congress needs to hold the social media giants? feet to the fire to draw attention to their censorship practices. Step one is to draw attention to it. We do need to have congressional hearings to highlight, underscore what is taking place. In our situation, there are 435 members of the House, 100 members of the Senate, 535. Four were shadowbanned by Twitter. that were ?shadowbanned? by Twitter were Republicans. ?These just happen to be Gaetz, Nunes, Meadows, and Jordan. Four guys probably seen as the most active on the FBI/DOJ investigation on how they handle the Trump-Russia investigation,? the Ohio conservative added. so will there be a showdown .. he needs to force his will via the military budget . Trump finds fault with latest spending bill: Where's the border wall funding? President Trump called the latest spending bill ?ridiculous? while complaining about border wall funding Thursday morning and demanded Republicans ?finally get tough.? Mr. Trump demanded to know why border wall and security funds were left out of the newest bill, and how Congress planned on paying for it after the midterms. He also accused Democrats of ?obstructing law enforcement and border security.? On Wednesday, the Senate passed a $850 billion spending package. A majority of the money ? $647 billion ? went to the Pentagon, which would include funds for a pay raise for troops. The hit comedy series Last Man Standing posted a historic viewing during its Friday night debut on Fox, averaging a whopping 8 million viewers in the all-important 18-49 demo. The Fox season seven series premiere, according to Variety, ?was also Fox?s most-watched comedy on any night in nearly seven years, excluding NFL nights, and was by far the top-rated show of Friday night.? Star Tim Allen took to Twitter on Friday to thank the fans who tuned in to watch the show on its new network. ABC canceled Last Man Standing in 2017, after the show posted solid rating for six consecutive seasons. Allen had appeared to suggest that show was nixed due to it featuring a ?funny, likeable conservative character.? ?I always wanted Last Man Standing to be like Archie Bunker. Archie Bunker pushed boundaries, but Carroll O?Connor was not that guy at all. I am a version of that guy,? Allen said during an appearance on Norm Macdonald Live last September. President Donald Trump praised NASA astronaut Neil Armstrong on Friday for placing an American flag on the moon. ?He?s the man that planted the flag on the face of the moon,? Trump said. ?There was no kneeling, there was no nothing, there was no games, boom.? ?Boom,? Trump repeated, imitating the action of planting a flag into the ground. Trump highlighted Armstrong during a campaign rally in Ohio on Friday night as part of a list of American heroes that were born in the state. He also pointed out a possible relative of Armstrong in the audience, but it was unclear whom he was singling out. The president also praised Ohio native General Ulysses S. Grant, who was a great general despite being an alcoholic. ?He had a serious problem, a serious drinking problem, but man was he a good general,? Trump said. Trump said that Lincoln ?almost developed a phobia? 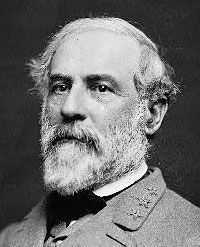 because of how successful Confederate General Robert E. Lee was, winning ?battle after battle after battle? during the Civil War. (Washington Times) President Trump plans on ending birthright citizenship with an executive order to combat illegal immigration, he told Axios in an interview previewed Tuesday. ?It was always told to me that you needed a constitutional amendment. Guess what? You don?t,? Mr. Trump said. The president said it was ?ridiculous? to be the only country with birthright citizenship and insisted that ?it has to end.? Watch: Bannon Crushes Frum In 'Explosive' Debate On "The Rise Of Populism"
Steve Bannon, the former head of Breitbart News and former chief strategist to President Trump, argues for the resolution that the ?future of western politics is populist, not liberal.? Arguing the opposing side is Canadian-American David Frum, senior editor at The Atlantic, former speechwriter for President George W. Bush, and author of the recent book "Trumpocracy: The Corruption of the American Public." Rudyard Griffiths moderates the debate from Roy Thomson Hall in Toronto. David Jeffrey Frum (/frʌm/; born June 30, 1960) is a Canadian-American political commentator. A speechwriter for President George W. Bush, Frum later authored the first book about Bush's presidency written by a former member of the administration. He was described by a Publishers Weekly review of the book as "not part of the inner circle." He is a senior editor at The Atlantic as well as an MSNBC contributor. He serves on the board of directors of the Republican Jewish Coalition, the British think tank Policy Exchange, the anti-drug policy group Smart Approaches to Marijuana, and as vice chairman and an associate fellow of the R Street Institute. ... Frum earned his Juris Doctor (J.D.) at Harvard Law School in 1987. Born in Toronto, Ontario, Canada, to a Jewish family, Frum is the son of the late Barbara Frum (n?e Rosberg), a well-known, Niagara Falls, New York-born journalist and broadcaster in Canada, and the late Murray Frum, a dentist, who later became a real estate developer, philanthropist, and art collector. His father's parents immigrated from Poland to Toronto in 1930. Frum's sister, Linda Frum, is a member of the Senate of Canada. he wants to be the leader of the -international community-. to world leaders?and attacking one of them. Guess who? 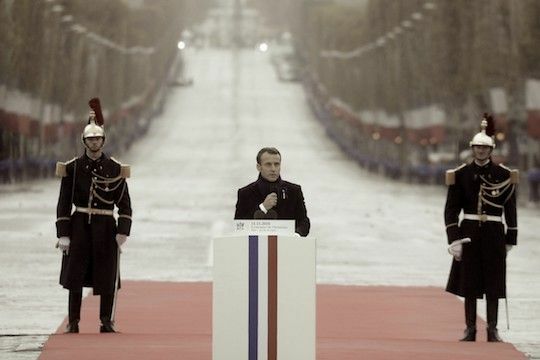 As The Washington Post reported on Sunday, ?In the shadow of a grand war memorial here, French President Emmanuel Macron marked the 100th anniversary of the end of World War I by delivering a forceful rebuke against rising nationalism, calling it a ?betrayal of patriotism? and warning against ?old demons coming back to wreak chaos and death.?? For much of Sunday, that article was the ?Most Read? story on the Post?s website?of course it was. 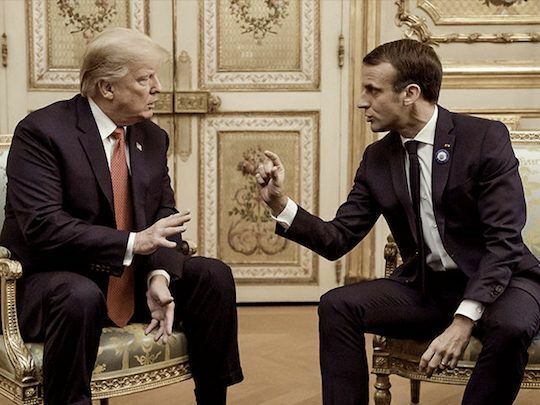 Obviously Macron was aiming his rebuke at President Trump, who was sitting just a few feet away. After all, Trump said just two three weeks ago, ?I am a nationalist.? And so Macron further jibed on on Sunday, ?Patriotism is the exact opposite of nationalism.? The exact opposite? Really? The reader might be inclined to reach for a dictionary, in search of the difference between those two words, ?patriotism? and ?nationalism.? Actually, don?t bother, because they are, in fact, interchangeable. Macron?s wordplay was dismissed by John O?Sullivan, who?s been a conservative sage since his days as an aide to Prime Minister Margaret Thatcher. O?Sullivan responded to Macron with a tart tweet, ?Nonsense. Patriotism & nationalism overlap greatly as political ideas arising from love of country. Those who want to separate them fully get into linguistic difficulties & produce wildly differing definitions of both.? In other words, in his eagerness to zap Trump, Macron is splitting hairs. To be sure, plenty of folks will cheerfully defend nationalism, or patriotism, or both?including, just last month, Virgil?but there?s more to the story here than words. There?s also a struggle for power. You see, even as Macron is zapping Trump for being a nationalist, the French president will be pushing, in Trump?s absence, a whole new initiative built around?you guessed it?globalism. As the Post also reported, ?The president plans to fly home just as Macron?s Paris Peace Forum kicks off for three days of meetings aimed at galvanizing global action on shared challenges, such as climate change.? The Post quoted Thomas Wright, a Europe expert at the Brookings Institution, saying that Macron planned the Paris Peace Forum as ?a counterpoint to ?America First.?? Thus we can see: All the ?Macron Attacks Trump? headlines are part of a deliberate strategy. He used his talk to defend his efforts to spread a 'nationalist populist movement' across Europe and has spoken as many events around the Continent. He is seen by some as the Machiavellian mastermind behind President Trump's highly controversial and successful Presidential campaigning. Bannon told the union audience: 'Nazis and the KKK have no place in our society, they should have never been allowed to march in Charlottesville. Bannon is touring Europe as he promotes a new Brussels-based pressure group called The Movement. The Oxford Union is a debating society which dates back to 1823 with a long tradition of promoting freedom of speech, but some recent guests have infuriated students. Donald Trump's ex-strategist, Steve Bannon, told the Daily Beast he hopes the foundation will fuel the spread of right-wing populism across Europe. He wants to offer a right-wing alternative to George Soros's foundation. The most powerful figure in Italy?s new populist government signed up on Friday with Steve Bannon, President Trump?s former chief strategist, to help bring about a continentwide populist takeover during European Parliamentary elections next spring. Matteo Salvini, the Italian interior minister and the leader of the anti-immigrant party the League, has joined The Movement, a group founded by Mr. Bannon, the minister?s spokeswoman confirmed. The last few days have seen President Trump escalate his tirade against judicial bias in America's higher courts following his initial comments responding to yet another liberal California judge earlier this week blocked one of President Trump?s policies - this time a new asylum rule that would have required applicants to arrive at a designated port of entry (a lot to ask, I know) - the understandably frustrated president lashed out at liberal courts in general. ?I think it?s a disgrace when every case gets filed in the 9th Circuit,? said Trump. ?That?s not law, that?s not what this country stands for. Every case that gets filed in the 9th Circuit, we get beaten and then we end up having to go to the Supreme Court, like the travel ban, and we won.? ?Judges are like umpires ? whose job is to call balls and strikes and not to pitch or bat.? He also said that ?umpires don?t make the rules; they apply them.? No serious student of the modern judiciary took Roberts? 2005 comments seriously. They shouldn?t take his most recent attempt at myth-making seriously, either. After all, if there wasn?t a difference between ?Obama judges? and federal judges appointed by Republican presidents, President Trump?s opponents wouldn?t be moving heaven and earth to try to stop him from appointing conservatives to the federal courts. Surely, the chief justice can?t already have forgotten the trials to which Brett Kavanaugh was subjected. Of course, Roberts was appointed by a Republican president, but that president ? George W. Bush ? like Roberts himself, was an establishment conservative, and establishment conservatives resent President Trump?s 2016 election victory almost as much as Democrats do. Perhaps that helps explain the chief justice?s seemingly unprecedented attack on the president. (Bloomberg Opinion) -- Sorry, Donald Trump: General Motors Co. isn?t leaving China anytime soon. It can?t and it won?t. After the automaker announced plant closings across North America as part of a wide-ranging restructuring plan, the president lashed out on Twitter, threatening to strip GM of any U.S. government subsidies. He also pointed out that nothing was ?being closed in Mexico & China? and that GM?s bet on China wouldn?t pay off. There may be some truth in that last point. Why, on the face of it, would GM walk away from the world?s largest car market? Despite falling volumes, the company still expects to book $2 billion of equity income in China this year. While its market share has plummeted, margins still remain close to 9 to 10 percent there, higher than 6 percent to 7 percent for the company as a whole. GM has committed to going big in China: It launched the Cadillac XT4 luxury SUV earlier this year and had planned to roll out as many as 10 models by Dec. 31. The company sells more cars wholesale in that market than at home ? 835,934 of them, including joint ventures, in the third quarter, against 700,000 in the U.S.
China's automobile market seems lucrative to many foreign automakers, including General Motors, Ford, Tesla and Volkswagen. General Motors has planned to invest around $12 billion in China from 2014 to 2017 and bolster its production facilities in the country. Volkswagen has plans to invest $25.16 billion in China to accelerate its sales to a record level of 3.5 million vehicles this year. General Motors aims to bolster its Cadillac Sedan sales and to launch one Cadillac per year through 2016. General Motors is striving hard to regain its lost leading position from Volkswagen, while the latter is putting efforts into maintaining its lead. China is currently the largest and fastest-growing automobile market in the world, and therefore, it is a highly lucrative market for national as well as international automakers. During the first quarter of 2014, vehicle sales in China increased 10.1% year-over-year, and January 2014 saw record sales of 1.85 million units that outpaced the yearly sales volume of India in 2013. China is proving itself as a hyper-competitive market in the passenger vehicle segment, so domestic automakers are experiencing competitive pressures. That may be because of customer preference for international cars over domestic brands. Nevertheless, China's passenger vehicle sales volume is forecasted to grow at a CAGR of 9.1% between 2014 -2017. Last year, the China Association of Automotive Manufacturers predicted industry-wide sales growth of 7%, while actual sales were up 14% year-over-year. This year, we can expect actual sales to cruise comfortably ahead of estimates. I will be focusing my article on General Motors (NYSE:GM) and its strategies to penetrate into the Chinese automobile market and deal with competitive rivalry in the region. General Motors is battered in its home market due to the recall issues, but the auto giant is optimistic about its future prospects in China. General Motors has 12 joint ventures, two wholly-owned foreign enterprises and 35,000 employees in China. The company derives more than 30% of its total sales from China and 60% of its free cash flows in the form of dividends and royalties received from the country. In 2013, General Motors managed to sell 3.2 million passenger vehicles in China, up 28% from 2.5 million vehicles sold in 2011. For 2014, General Motors expects to sell its one-millionth vehicle in the country during the 2014 Beijing Auto Show. General Motors seems to be on track to exceed last year's set target of 3.2 million vehicle sales. General Motors had been the sales leader in China for seven consecutive years, before it was eclipsed by Volkswagen AG (OTCPK:VLKAF). Volkswagen was the first among international automakers to start producing cars in China during the 1980s, and has been benefiting from its first-mover advantage. It has achieved a deep penetration in the eastern areas of the country that were rapidly developing, like Shanghai and Guangzhou, which is why it does not need more dealers there. Now, it has turned its focus to western areas that were previously neglected, and aims to raise the number of dealerships there by almost 50% to more than 3600 over the next 3 years. According to the company's CEO, Martin Winterkorn, it is aiming to deliver more than 3.5 million vehicles this year, up from 3.27 million in 2013, reflecting an increase of 7%. The company will introduce 100 new or revamped models throughout the next year. Volkswagen aims to maintain its position as the top-selling foreign brand in China with the help of aggressive spending in the country. Its two venture partners, First Automotive Works and Shanghai Volkswagen, have plans to spend 18.2 billion euros through 2018, equivalent to $25.16 billion. In short, Volkswagen is making strides towards becoming the global industry leader by 2018 and besting Toyota Motor Corporation (NYSE:TM). Auto stocks are rising Monday in response to a report that China may halve its tax on sales of motor vehicles. Where we were: Automakers have struggled to gain traction in 2018, hurt by worries about slowing car sales and tariffs. Where we?re headed: Investors are optimistic that China?s move will spur sales. Goldman Sachs upgraded Ford (ticker: F). Auto stocks are starting the week on a high note, on news that China may slash its taxes to 5%. Both Ford and General Motors (GM) were trading up, after Bloomberg reported that China is considering cutting taxes on vehicle sales by 50%, citing unidentified people close to the situation. It?s big news for auto makers given the importance of China: The world?s largest market for autos is looking at its first decline in more than two decades as the impact of tariffs crimps sales. This isn?t the first time the nation?s government has tried to prop up sales. Back in April, when the trade war was heating up, China said it would lower tariffs on autos and other goods. However, we?ve seen the situation escalate since then, and Chinese consumers have been pulling back in a number of areas. General Motors and other big companies are only interest prophet not Trump. Trump canceled meeting with Putin on G20 Summit ! Actor and environmental activist Arnold Schwarzenegger called President Donald Trump crazy for withdrawing the United States from the Paris Agreement and said the world?s most powerful country is ?still in? the accord to reduce greenhouse-gas emissions. Speaking on Monday before delegates at the United Nations Climate Change Conference in Katowice, Poland, Arnold Schwarzenegger said that ?America is more than just Washington or one leader,? according to the Associated Press. The former Republican governor of California called the president 'meshugge,' which means 'crazy' or 'senseless' in Yiddish, for walking away from the 2015 international agreement against the wishes of copious high-ranking elected-officials, policymakers, and business leaders in the U.S. The veteran actor?s remarks came after President Trump refused to sign a joint statement on climate change at the Group of 20 Summit in Buenos Aires, Argentina, over the weekend. It doesn't matter ? Obama/Clinton campaign finance corruption violations ? The major takeaway from the 40-page sentencing memorandum filed by federal prosecutors Friday for Michael Cohen, President Trump?s former personal attorney, is this: The president is very likely to be indicted on a charge of violating federal campaign finance laws. It has been obvious for some time that President Trump is the principal subject of the investigation still being conducted by the U.S. attorney for the Southern District of New York. The Weekly Standard was founded in 1995 by Kristol, Fred Barnes, and John Podhoretz. It was initially published by Rupert Murdoch's News Corporation before being sold to Clarity Media Group in 2009. During the presidency of George W. Bush, it was widely considered to be aligned with the administration and with neoconservatism broadly.  Bye bye Bilderberg scum.